Many readers of Genesis 1 have noted that day and night exist before the record of the creation of the sun in Gen 1:14. This has been met with numerous imaginative attempts to account for this apparent discrepancy between the Genesis account and a modern scientific understanding of the universe. It appears that Ellen Van Wolde’s article about the meaning of ברא in Genesis 1 has appeared in JSOT (link to the reference is here). There has already been some discussion over her claim on other blogs, so I’m hoping to get a copy of her article soon (if anyone feels motivated to send me a copy please let me know!). A recent article in the UK paper The Guardian reports that a newly translated by Irving Finkel (although not, apparently, newly discovered) tablet of Atra-hasis makes reference to the Mesopotamian ark as being “circular” (I assume it means more cylindrical than spherical). Although the provenance of the tablet seems unclear, there has been no doubt cast upon its authenticity that I’ve seen. Wall, wall! Reed wall, reed wall! Atram-Hasis, pay heed to my advice, that you may live forever! Destroy your house, build a boat; despise possessions And save life! Let its length and breadth be the same. As I’ve noted previously, the Mesopotamian conception of the ark recorded a vessel with equal width, breadth, and height, and so it has been widely assumed to have been cubic (a shape with significant cultic connections), but a cylindrical vessel would also easily fit these dimensions. There are, however, a couple of notes of caution worth raising. First, I have only seen Finkel’s translation. Without seeing the tablet itself it is difficult to judge how certain the translation “circular” is for whatever term was used on the tablet. The semantic range of the term could be less precise or script on the tablet itself could be unclear and allow some room for movement. Second, the reports that this was the original shape of Noah’s Ark are simply wrong. The Bible records clear dimensions for its conception of the Ark and they simply cannot be circular (whatever that means in 3D). 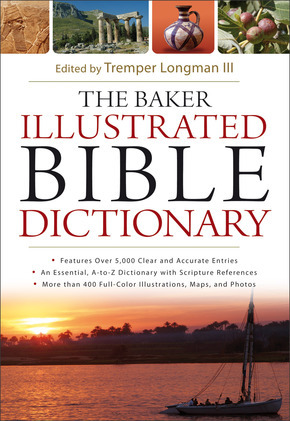 The biblical account is not merely a retelling of an older story, and hence it cannot be “corrected” by reference to older versions. why is there no marriage in the resurrection? ἐν γὰρ τῇ ἀναστάσει οὔτε γαμοῦσιν οὔτε γαμίζονται, ἀλλ᾿ ὡς ἄγγελοι ἐν τῷ οὐρανῷ εἰσιν. For at the time of the resurrection they neither marry nor are given in marriage, but are like the angels in heaven. Now although this resolves the problem raised in the passage by the Sadducees, it does raise some questions, in particular, why is there no marriage and what does it mean? It seems that any answer to this question must ultimately return to the function of marriage itself, and for this we must travel to Gen 2:18–25. In this passage, the woman is created in answer to the second of two problems identified in creation (the first problem is identified in Gen 2:5), and in response to the rather startling observation by God that something is “not good.” That is, the woman, and (in the context) marriage, are the answer to the man’s isolation. With her, in the covenantal relationship of marriage, he is no longer alone, he has his עזר כנגדו (ʿēzer kĕnegdô, ‘heler suitable for him’). Following David Clines,1 who identifies the help the woman provides the man as being purely related to childbearing and so the ability to fulfil the blessing of Gen 1:28, we would have to conclude that at the resurrection this command is seen as fulfilled—the earth/land is then filled and, with its inhabitants enjoying eternal life, the population need not grow any further, and so there is no need for procreation and ultimately marriage. Another option is that resurrected people are not gendered, i.e. there will be no male and female, and so no marriage. Whether this is likely to be the idea behind Jesus’ comment would depend on whether angels were thought to be without gender. Now all angels I can think of that are mentioned in the Bible are grammatically male, but this is far from decisive since it may be that they are simply not marked for gender. OTOH, if Gen 6:1-6 refers to angels cohabitating with humans (which is far from certain) then it would suggest that angels were thought to be gendered. Some examination of first-century angelology would be needed to clarify this further. Of course these explanations are not mutually exclusive, they may be true in some combination (they may also both be wrong). There may also be other possible reasons for the absence of marriage in the resurrection. What we can say, however, is that if Gen 1:28 reflects a divine purpose, then perhaps that purpose is fulfilled at the resurrection,2. So if the earth is full and there is no more death, is procreation necessary. If it is not, then that aspect of marriage is no longer required (although I think Gen 2 makes it clear that marriage is more than this). So it could be argued that neither gender nor marriage is needed at the resurrection and hence this explains the situation Jesus describes. 1. See David Clines, “What Does Eve Do to Help?” which can be read online here. I should point out that I do not follow David Clines at this point—I think Genesis 2 in the context of the OT makes it clear that the problem identified with the man’s “aloneness” is not confined to his inability to fill the earth. 2. Although there may be no such necessity: I see no requirement that the resurrection needs to mark the end to any further development or advancement in the divine plan for creation. It may simply mark the end of this phase. Well, at last it is time to finish the remainder of Genesis 1. I’m sure there remains much room for improvement, so I’m still open to any and all suggestions. I’m also aware that there are parts of the text which remain susceptible to inappropriate domestication, so this is in no way intended to be a finished work! And God blessed them with the words, “Be fruitful, multiply, and fill the waters in the seas, and let the flying things multiply on the land.” And there was evening and then morning, a fifth day. Then God said, “Let the land produce varieties of animals—varieties of cattle, creeping animals, and wild animals.” And it was so. God made the varieties of wild animals, varieties of cattle, and all varieties of animals which creep over the ground. God recognised that it was good. Then God blessed them with the words, “Be fruitful, multiply, fill the land and subdue it. Rule over the fish of the sea, the flying things of the sky, and all the animals which creep over the land.” And God said, “Now I give you all the crops which are on the land and all trees bearing fruit containing its seed—these shall be your food. To all the wild animals, to the birds of the sky, and to the animals which creep over the land which are alive, [I give] every green plant for food.” And it was so. God recognised that all which he had made was now very good. And there was evening and then morning, a sixth day. Then the sky and the land was finished, and all their entourage. By the seventh day God had finished the work which he had done, so he rested on the seventh day from all his work which he had done. And God blessed the seventh day and made it sacred, because on it he rested from all his work which God established. 1. In light of the apparently all-encompassing reference in the previous clause to sea-life, it seems probable that עוף here refers to more than merely birds but encompasses everything that flies (see Lev 11:20; Deut 14:19). Using “flying things” also allows me to preserve something of the parallelism of the Hebrew ועוף יעופף. 3. The term “good” is pretty vague, but then so also is the Hebrew טוב. Hamilton translates as “beautiful,” although there are other Hebrew terms (e.g. יפה) which may better express the aesthetic quality inherent in this English word. Perhaps “suitable” or “appropriate” would be good renderings (if Sailhamer’s emphasis on the anthropocentric nature of the narrative is correct, then God’s observation would highlight the suitability of each phase of creation for human habitation). HALOT’s suggestion, “in order, usable,” would seem to fit well here. 5. Obviously “proxy” fails to reflect the aspect of physical resemblance inherent in “likeness,” but I’m trying to avoid “likeness” in order to distance the translation from the theological baggage which would otherwise be imposed upon the text by the use of conventional terms. On the other hand, “proxy” nicely conveys the notion of representation inherent in both צלם and דמות. It’s been too long since the last installment in this series, partly due to holidays, partly due to internet problems, and partly due to being too busy, but here come the next two days of Genesis 1 at last. Then God said, “Let the waters under the sky be collected to one place so that dry ground appears.” And it was so. Then God named the dry ground “land” and he named the collected waters “seas.” God recognised that it was good. Then God said, “Let the land sprout plants: crops1 and fruit-trees producing varieties of fruit containing its seed.” And it was so. So the land produced plants—varieties of crops and varieties of trees bearing fruit containing its seed. God recognised that it was good, and there was evening and then morning, a third day. Then God said, “Let there be lights on2 the barrier of the sky to separate between the day and the night, and let them mark the times for days and years, and let them be lights on the barrier of the sky to shed light on the land.” And it was so. God made the two great lights—the greater light to govern the day and the lesser light to govern the night—and the stars. God placed them on the barrier of the sky to shine on the land, to govern3 the day and the night, and to separate between the light and the darkness. And God recognised that it was good. And there was evening and then morning, a fourth day. 1. The expression עשב מזריע זרע is usually rendered “seed-bearing plants.” This raises the question: why the qualification about seeds, are there any plants which do not bear seeds? I suspect something more specific is on view here, and that is that the plants on view are crops and that the expression focuses on the ‘sowing’ aspect of the verb זרע. By extension, the reference to ‘fruit-trees’ probably focuses specifically on those cultivated for food. Furthermore, verses 29–30 specifically identify these plants as being for human consumption but also draw a distinction from other plants (כל ירק עשב) which are for animals. Cultivated crops are certainly in view later in Gen 2:5. 2. Note HALOT on the use of the preposition ב says “5. in association with high objects ב means upon: בחרב 1K 89, בסוסים Is 6620.” So also in subsequent uses of ב here in reference to the placement of lights on the barrier. 3. “Govern” is fairly neutral in Australian English, although I’m concerned a little over its connotations in US English where you actually have governors (or a “governator” in California), so the term may be less suitable in that context. For background information, read the previous post. This translation is by no means final—it is very much a first draft with notes highlighting areas which I consider remain inadequate. Consequently I’ll be very pleased to consider any suggestions for improvement which I will gladly incorporate! I begin with the first two days. Obviously there is much that could be said, I’ve included footnotes to points of particular interest. When God began establishing the sky and the land,1 the land was uninhabitable,2 and darkness covered the surface of the primaeval depths.3 But the spirit of God stirred over the surface of the waters and God said, “Let there be light!” And there was light. God recognised that the light was good, and God separated the light from the darkness. God named the light “day” and he named the darkness “night.” Then there was evening and then morning, a first day. Then God said, “Let there be a barrier4 between the waters which will separate the waters, and let the barrier separate the waters which are below the barrier from those which are above the barrier.” And it was so. Then God named the barrier, “sky,”5 and there was evening and then morning, a second day. 1. I’m not entirely happy with ‘establishing’, but I’m aiming to go beyond ‘create’ because I think Walton probably has a point when he suggests that ברא refers to assigning a function to something, although I think he overstates his case. I don’t think the notion of “create” is readily excluded from the semantic range of the term, doing so creates(!) too many difficulties in some contexts. Consequently, I suspect that the term may refer to creating with a view to assigning function, and so I’ve lazily adopted the vague “establish everything (i.e. את השמים ואת הארץ)” to encompass the task of creating and assigning function. 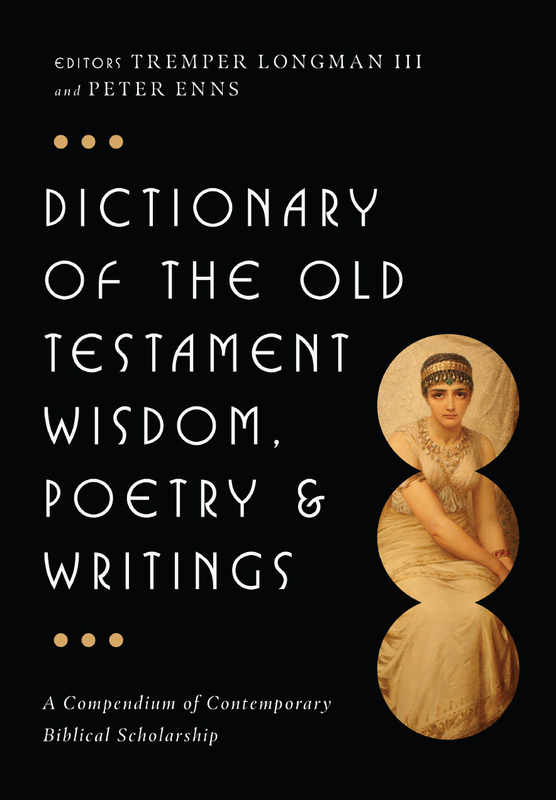 On Walton’s views, see his Genesis (NIVAC) 70–72; Ancient Near Eastern Thought and the Old Testament, 181–184. I think ארץ is best translated “land” in Gen 1, although I think that the expression את השמים ואת הארץ is a merism for everything (since there is no land at this point anyway). Unfortunately ‘everything’ is also inadequate, because ‘everything’ in the ancient world (cosmologically speaking) was quite different from everything today. 2. Although the precise meaning of תהו ובהו has long been debated, I suspect that in context here it describes the state of the world prior to the acts of God described in the remainder of the chapter—that is, before order, shape, and function had been imparted to the creation. Sailhamer argues that it means no more than “uninhabitable” (see Sailhamer, Genesis Unbound  60–66). 3. תהום is often translated in such a way as to suggest it is a simple reference to the ocean, but it almost always appears in reference to the ancient waters from which the cosmos was fashioned. Here I want to ensure the modern reader is aware that there’s more in the mind of the ancient reader than the ocean or sea. 4. For רקיע I’ve tried to choose a term which reflects the notion of a solid canopy over the world, hence “barrier.” Terms like “expanse” allow modern readers to escape the significant cosmological differences which exist between the ancient world and our own and should be avoided. 5. “Sky” is ultimately inadequate as a translation for שמים in this context since the Hebrew idea here doesn’t simply reduce to what modern English speakers mean by “sky.” However, until I can think of (or someone can suggest) a better alternative, it will have to remain for now. Debates over types of translation of the Bible are typically dominated by discussions of the relative merits of either “literal” (or formal equivalent) translation verses dynamic equivalent wherein the primary goal is the transfer of meaning from the source to the target. While there is a place for both types of translation, I personally think that literal translations have a rather limited place, serving best those with some grasp of the underlying languages and the way they operate, but without the fluency to be able to rely on them alone. Otherwise they can be used in conjunction with a good dynamic equivalent translation in order to highlight possible intertextual links, linguistic parallels, or formal features of the original text. For those unfamiliar with the original languages, however, I would not recommend using a “literal” translation alone because it can obscure as much as it reveals. Now it might be tempting to think that a formal equivalence translation overcomes the problem by reflecting more closely the structure of the original together with a more wooden approach resulting in a text which doesn’t sit comfortably as contemporary English. Unfortunately that is not the case, for although a FE translation can highlight the fact that the text is unlike “normal” English literature, in practice they rarely highlight the nature of the foreignness of the original text. 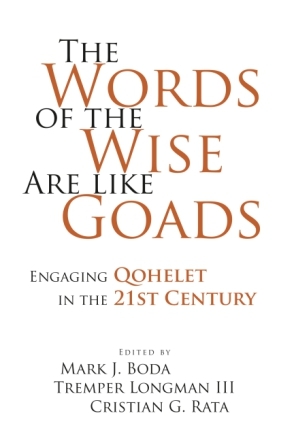 Indeed, I suspect it is easier to produce a foreignising translation of a biblical text in what appears to be good contemporary English than it is in the less natural English which results from FE methodologies, simply because it is possible to highlight the semantic difference more precisely when the meaning can be more directly conveyed to the reader. 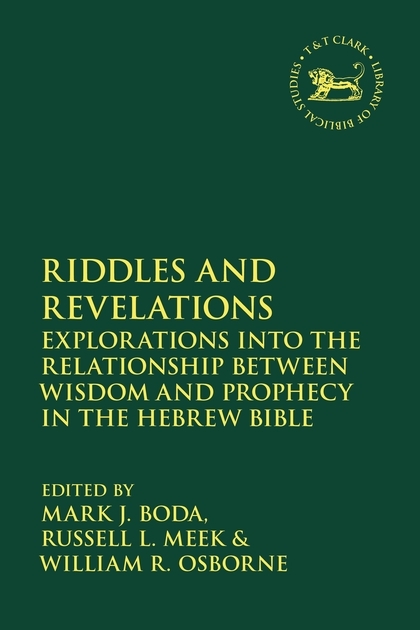 Now of all the texts in the Bible to which a foreignising translation may usefully be applied, it is perhaps the cosmological passages which stand to gain the most, for there are some of the greatest differences in worldview between the modern and ancient audience, and there, too, do we find that modern readers are most readily both willing and able to impose their own perspective upon the text with the resultant domestication of the text and loss of its original significance. My foreignising translation aims to use contemporary English grammar and syntax, but preserve or highlight alien aspects of the text in such a way that the reader cannot easily ignore the differences but is forced to see them. With that background, my translation shall appear in the next post! 1. Lawrence Venuti, The Translator’s Invisibility: A History of Translation (London: Routledge, 1995) 21. OK, the correct answer is “I don’t know.” (But we did come across an idyllic valley during our travels in Tasmania once…) Genesis doesn’t tell us too much, and although we know of two of the rivers identified (the Tigris and the Euphrates), there’s no consensus on precisely what the other two rivers refer to. Yhwh God planted a garden in Eden, to the east. In particular, the final phrase usually translated “in the east” or something like that, providing some sort of apparent geographical reference to the location of the garden. The difficulty here is that although the term מקדם (miqqedem) usually means “on the east side,” it can also mean “formerly, in ancient times, way back then” or something like that. Now it is immediately apparent that the latter meaning could fit quite nicely in the context. Indeed, Westermann notes a problem for the spatial reading of the term in Gen 3:24, but is not bothered by this since he assigns the two passages to different sources and thus attributes the difficulty to sloppy editing. Wenham, on the other hand, discounts the temporal reading on the basis of context and Gen 11:2. But these are hardly compelling, and I think Gen 11:2 actually counts against Wenham’s case. Let me explain. First, regarding the immediate context, it is clear that Gen 2 is dealing with events in the distant past, so a temporal reading of מקדם is entirely appropriate. Second, throughout Gen 3–11 there is a consistent movement to the east (cf. Gen 3:24; 4:16; 11:2) which implies that the point of origin could not be as far east as the final point at which we arrive in Gen 11, Babylon. The implication is thus that Eden lay to the west of Babylon. The further implication is that there is a symbolic reversal between the journey eastward away from Eden in Gen 3-11 and then Abram’s about face at the instigation of God as he sets off toward the promised land in the west. Finally, Wenham notes that a number of ancient manuscripts and versions also understood מקדם temporally rather than spatially in Gen 2:8. 1. It is worth noting also that there are examples where the ambiguity inherent in the term קדם seems to play a part in the meaning of the text. I think immediately of Job 1:3 and the general feeling that Job is set in patriarchal times. 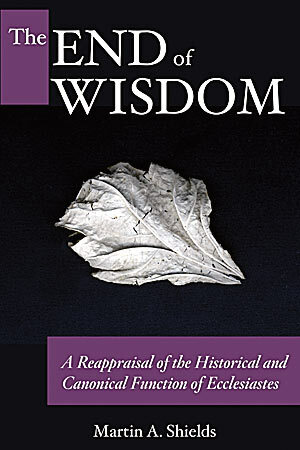 There is a sense, I think, that what lies in the east in such texts is also that which derives from ancient times.